Xiaomi is one of the fastest growing smartphone manufacturers in the world. This company has been making a profit left and right lately. Back in 2013 the company has sold "only" 19 million units and this year they will cross the 60-million mark, which is truly impressive. If you consider the fact that they're planning to expand and ship over 100 million units in 2015, well, you get the idea how fast Xiaomi is growing. Most people know this company for their great line of smartphones, like the Mi4, which is the latest one in line. MIUI OS is also something Xiaomi is well-known for, this Android ROM is comes pre-installed on Xiaomi's devices and there are a ton of people who flashed this ROM on other Android handset as well. The company also makes TVs and tablets, though not many people outside of Asia are aware of that. 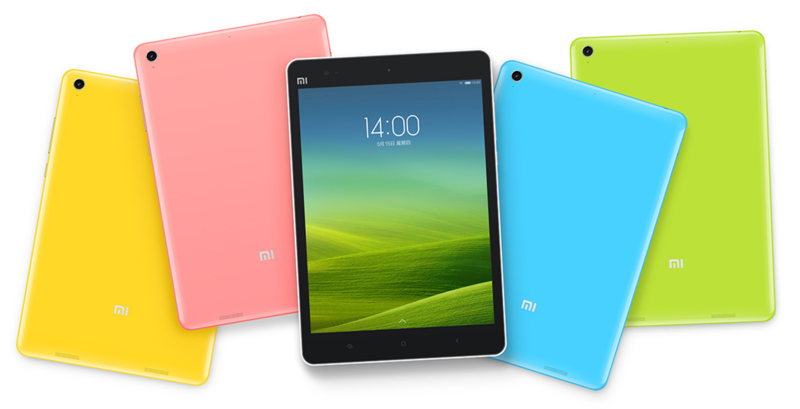 Xiaomi's MiPad Android tablet is a rather solid offering and the company has just decided to cut its price in China. MiPad's price was 1,499 Yuan ($244) for the 16GB version of the device, while the 64GB version costs 1,699 Yuan ($276) and it seems that one won't get discounted, at least it's not at the moment. If you're interested in getting your own MiPad (and you live in China), follow the source link down below. This tablet is available in Blue, White, Green, Pink and Yellow color options. Xiaomi MiPad features a 7.9-inch 2048 x 1536 IPS LCD display along with 2GB of RAM for all your multitasking and 16 and 64GB of internal storage (expandable via MicroSD card up to 128GB), depending on the version you decide to purchase. Nvidia's Tegra K1 quad-core processor clocked at 2.2GHz is powering on this tablet along with ULP GeForce 192-core Kepler GPU for graphics rendering and insane gaming capabilities. This tablet sports 2 camera sensors, the 8-megapixel camera is located on the back of the device while there's a 5-megapixel snapper on the front side of this tablet. MiPad ships with Android 4.4 KitKat with Xiaomi's MIUI OS on top of it. 6700mAh Li-Po battery is here to make sure your tablet doesn't run out of juice. This is a Wi-Fi only tablet, no 3G or 4G connectivity is available. MiPad measures 202 x 135.4 x 8.5mm while it weighs 360 grams. This is definitely a good price for this tablet and if you live in China and have been thinking of getting this thing, now is your chance.